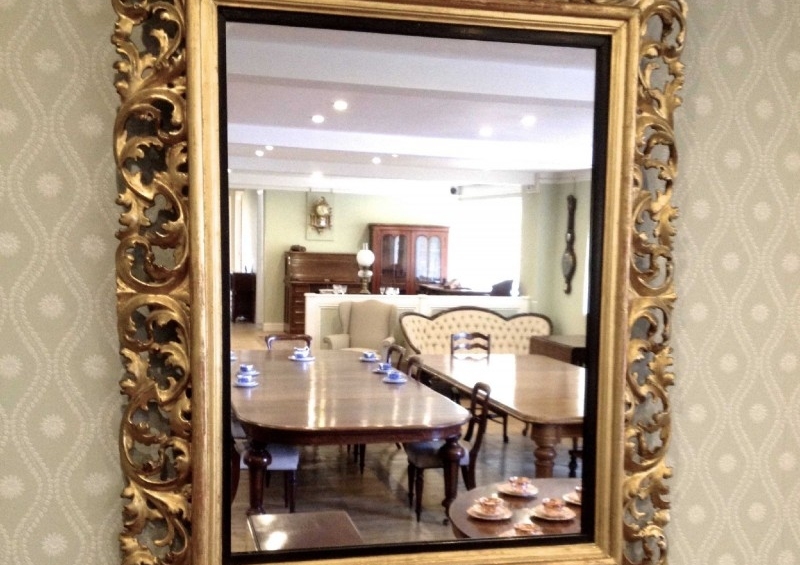 This type of mirror frame is known as a Florentine style, and dates from the early nineteenth century. We bought this one for resale in our shop. There was however a small amount damage that need some attention before it would be ready for sale. 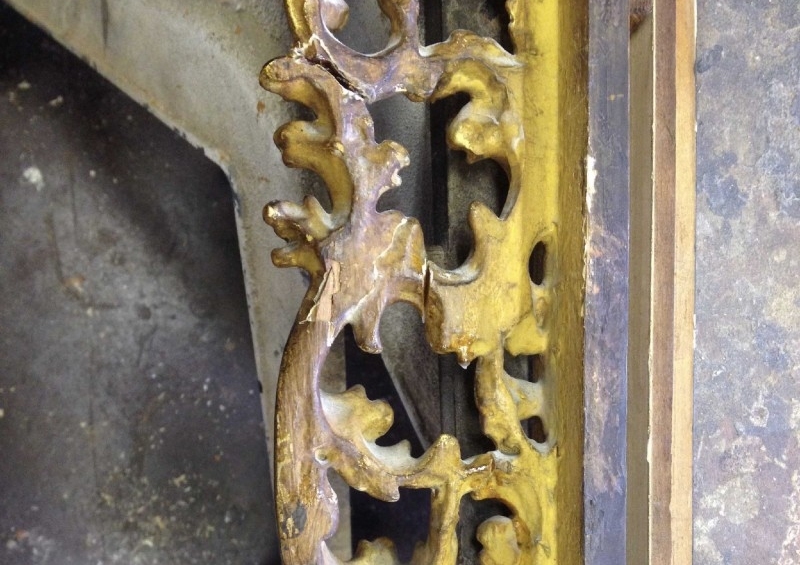 Two areas of the frame had been previously repaired but were not quite inline, so we had to remove the damaged areas again and fix in the correct position. There was also a small amount of carving missing which had to be replaced. Then all that was left to do was repair the areas of gold leaf on the show side and age the back for an invisible repair.